Alert: It does not actually exist, it is just in my imagination. Yep, still I’m obsessed with the reality show ‘The Return of Superman’ because those kids, especially the triplets, are getting more and more adorable every time! The Triplets, The Twins, Sarang, Jion, and now The Five Kids! Anyway, here are the celebrity list that come to my mind regarding the imaginary reality show. 1. Of course! Armie Hammer and daughter, Harper. 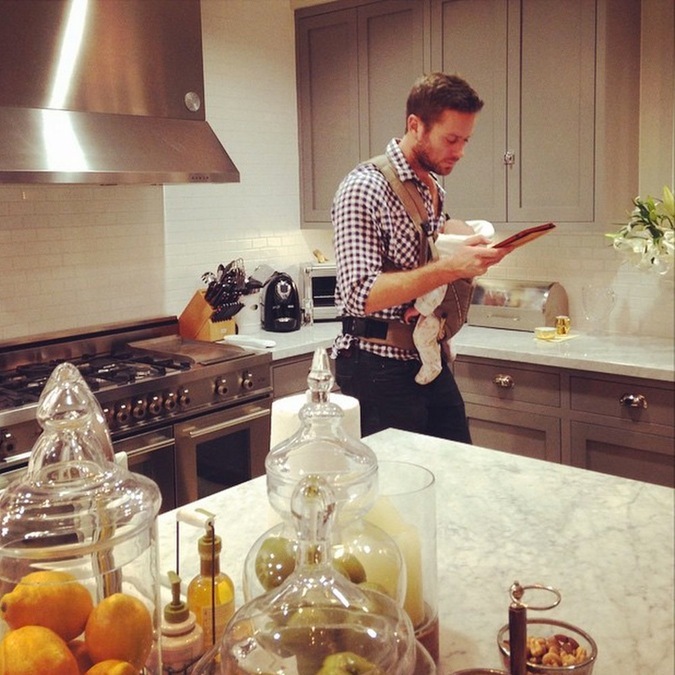 Armie is holding Harper while reading script. I think it’s from intouch magazine. For a moment, I wanted to be Harper. Thor and baby Thor. Chris described his travel from Australia to London with his wife and three kids was such “a trip from hell.” Can’t imagine 30 hours of flight with three babies. when one whines, the other must have whine, too. And that has to be anticipated fro 30 hours! Lol. No wonder you’re Thor. Chris Hemsworth with India Rose. Where are the twins? 3. David Beckham and daughter Harper and her three gorgeous big brothers Brooklyn, Romeo and Cruz. Yeey.. shopping with daddy! They also hangout in fashion week. 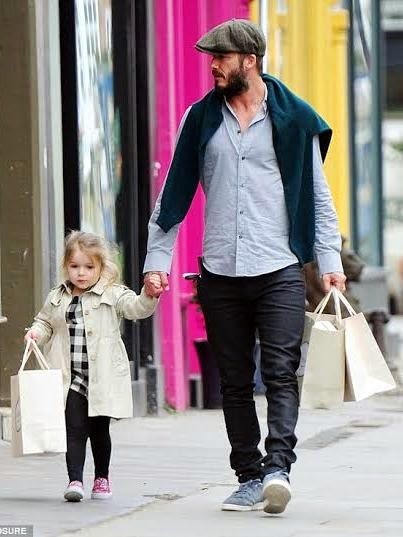 How adorable… I wonder how David Beckham hangout and play with the boys and Harper. 4. 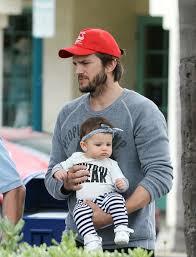 Ashton Kutcher and daughter, Wyatt. Hello little Wyatt. Ashton told Ellen DeGeneres that he and Mila Kunis, his wife, take care of their daughter without the help of nanny. I really would love to see these icon play ‘dad’. I must be very hysterical. Lol. What do you think?